With The Service You Deserve! 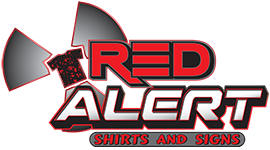 Rely on Red Alert for top-quality garment, hat embroidery, a wide range of printed vinyl signs, and custom screen printing in Tarpon Springs, FL. We specialize in t-shirt printing, 3M reflective printing, and graphic design in Tarpon Springs,FL. 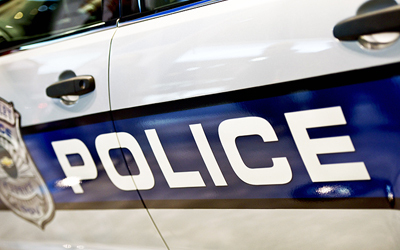 We also serve the entire Tampa Bay area. Our level of service and attention to detail are second to none. You'll appreciate our high standards and great turnaround times, and you'll have an excellent customer experience. 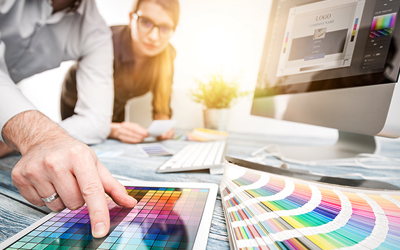 We focus on perfection in all the areas that result in a successful print job. Our pricing is very competitive, and we come through on your important rush orders. Red Alert has been satisfying repeat, long-term customers since 2008. Call or email us for more information and to get a quote on your project. Let us quote on custom apparel to promote your business or your organization. Red Alert is a large production print shop with a small business feel. Contact us for t-shirt printing and embroidery services. We also provide custom vinyl signs and vehicle wraps. We offer contract printing, but you're invited to come to us directly for all your screen printing requirements. 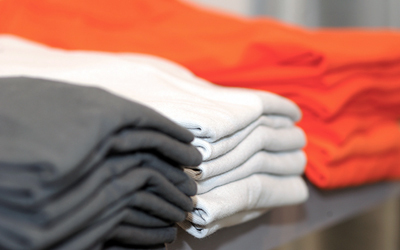 Service and quality are the priorities at our custom screen printing shop in Tarpon Springs, FL. Feel free to ask for help with your project. 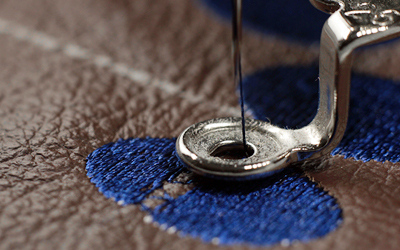 All work is completed in-house by the skilled and talented staff in our production warehouse. Frank Leonard is our production manager, Mike Wade is our screen printer and lead technician, and Jason O'Steen is a technician who also handles customer service and delivery. If you need assistance with a design, Matt Harrison is our creative graphic designer, and Jill Andress takes care of all embroidery. Together they have more than 60 years of combined experience. Our team is led by owner Josh Miller.